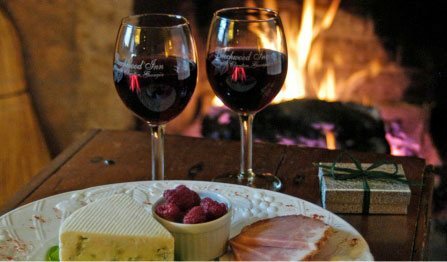 25 Best Romantic Fall Getaways in Georgia – Beechwood Inn: Fall is a great time to appreciate Georgia’s beautiful nature, visit a historical inn or a cozy bed and breakfast. Below is a list of wonderful places compiled by VacationIdea – Dream Vacation Magazine. »The Twelve Oaks: The Twelve Oaks home actually inspired the famous mansion in Gone with the Wind and gives guests the chance to visit and tour the building or spend a night. The antebellum home has almost 12,000 square feet and was built in 1836 with meticulous renovations. The home is listed on the National Register of Historic Places and features elegant rooms with private luxury bathrooms, flat panel TVs, wireless Internet and remote control fireplaces. Some rooms also have spa tubs and grand suites feature original ribcage showers. Rooms also include Egyptian cotton sheets and soft Turkish robes. You can choose from one of four guest rooms with queen beds and three with king beds, one of which can also feature double beds. In the morning, guests can enjoy a home-cooked southern breakfast made with local ingredients. The complimentary turndown service features cold water and chocolate truffles. The evening also features a Southern Sippin’ and Nibblin’ Hour with snacks, cheese and drinks. »Beechwood Inn: The Beechwood Inn gives guests easy access to wine country, fine dining and Southern hospitality. Each of the ten guest rooms has luxury linens, air conditioning, a stereo CD player with alarm clock, fluffy robes, luxury spa amenities and soaps, irons and hair dryers. The majority also have fireplaces and either private patios or balconies. The property features century old terraced gardens with gorgeous views of Black Rock Mountain. The inn has wireless Internet, a private game and television room, a VCR and DVD player, a music room with instruments, board games and a sitting room/library. Each day, guests are welcome to enjoy “Wine-Thirty” and soft drinks and bottled water are available during the day along with fresh fruit and home-baked cookies. A two-course gourmet breakfast for two is included with each room and features honey, fruits, vegetables and eggs. Every Saturday, there is also a dinner menu available with the Farm to Table Dinners. »Tybee Beachview Bed & Breakfast: Tybee Beachview Bed & Breakfast is located right by the beach so guests can enjoy gorgeous views and easy access to all their favorite outdoor activities in a historic property. The eight rooms have private porches, fireplaces, luxurious linens, and air conditioning. There is also a private cottage with one bedroom available for more privacy, making it perfect for romantic vacations. Guests can spend some time in the fragrant gardens before or after a trip to the beach. The day begins with a farm-to-table breakfast and there is a complimentary dessert every evening. You can also always find cookies in the kitchen, and cold beverages, homemade snacks and fresh coffee in Ophelia’s Lounge at any time of the day. As the only commercial Bed and Breakfast in Tybee, guests can buy wine and beer on-site. »Stonehurst Place: Stonehurst Place hosts guests in a 19thcentury mansion filled with beautiful art in midtown Atlanta. The luxury bed and breakfast has modern amenities and contemporary furnishings mixed with original details. There are six rooms, each with their own decor and a cable TV with premium channels, free wireless, a recharging station for mobile devices, an alarm clock, an iPod docking station, luxury linens, a desk and work chair, plush bath robes, natural bath amenities, and individual temperature controls. There is also a carafe with purified water in every room. Some rooms also have lighted make-up mirrors, heated bathroom floors, marble floors and vanities, spa tubs and walk-in showers. Guests can schedule an in-room massage or ask to use the guest laptop. Upon arrival, guests receive a welcome beverage and complimentary refreshments are available throughout the day. The day begins with a gourmet breakfast. »Horse Stamp Inn: The Horse Stamp Inn provides guests with a luxury bed and breakfast and is also a popular spot for weddings. Each of the five rooms is oversized with rural country views. The king beds have feather tops, piles of pillows and luxe 600-count linens. You will also enjoy overhead heaters, fluffy towels and an extensive range of bath products in the bathroom. The sitting area has a ceiling fan, iron, hair dryer, flat-screen TV, oversized dresser and closets, and high-speed wireless Internet. The inn’s secluded property is covered with trees and features numerous areas to explore, including the green fields, the fresh water pond with trout, brim, and bass and the rustic horse barn. There is also a pool to enjoy and all the supplies needed to set up a bonfire at night. Those traveling with a horse can take advantage of the horse-friendly stable. You can even arrange a trip on the inn’s boat. The fresh farm breakfast is made with local ingredients whenever possible. »Americus Garden Inn: The Americus Garden Inn was built in 1847 and is located on Rees Park, giving guests gorgeous views. The seven spacious rooms have air conditioning, private en-suite baths, hair dryers, bath amenities, king or queen beds, an alarm clock, a cable TV with VCR, an iron and ironing boards along with wireless Internet. Guests have access to a collection of games, books and movies. Guests can also explore the 1.5 acres of grounds, including the gazebo with swing, mini-waterfall and koi pond. There are plenty places to relax on the back porch or veranda, and the upstairs balcony offers beautiful views of the park. The breakfast and dining room is open 24/7 and has soft drinks, snacks, fruit, tea, cocoa, coffee and more. The full breakfast is hot and made from scratch every day and includes full-bodied fair trade organic coffee. Coffee is followed with a fresh baked item, one of six juices, fruit and the hot entree with pancakes of the day. »Surf Song Bed & Breakfast: Surf Song Bed & Breakfast is a 110 year old Victorian home that was renovated in 2013 and now hosts guests in luxurious suites. Just a block from the beach, it features five guest rooms. Many rooms have original coal fireplaces which are now decorative. Room amenities vary but they may have private entrances, armoires, antique loveseats, flat-screen TVs, sleigh beds, king or queen beds, en-suite baths, antique bath tubs or amazing views. The bed and breakfast also features a private swimming pool and a wrap-around porch for guests to people watch or just enjoy the outdoors. Inside, you can relax in the parlor and the downstairs features one-piece tin ceilings, one of the only examples of this in the area. You will also notice original maple hardwood floors and pocket doors. The eat-in kitchen has counter stools or you can eat breakfast in the dining room or outside. The southern-style breakfast features grits, which are their specialty, but the bed and breakfast can also accommodate dietary restrictions with notice. »Sugar Magnolia Bed & Breakfast: Sugar Magnolia Bed & Breakfast is a 1892 Queen Anne Victorian home. Surrounded by charm and antiquity, guests are transported back in time as soon as they step foot in the lovingly restored home. Each of the four rooms are slightly different, but you will find features such as gas fireplaces, living areas, dining areas, open-loft bedrooms, galley kitchens, cable TVs, skylights, vaulted ceilings, double Jacuzzi tubs, sitting areas, king or queen size beds, private balconies, roof-top decks and/or a unique seven-sided room. Throughout the guest rooms and common areas, you will find a three-story turret, grand staircase, hand-painted plasterwork, six fireplaces, and oval beveled windows in addition to a gorgeous crystal chandelier. Guests can enjoy the porches and outdoor areas or relax in the living room, where they can occasionally hear one of the innkeepers play blues or jazz on the piano. If you wish, you can also book an in-room massage at a special discount. The full breakfast is served in the dining room every morning. Glen Ella Springs: This bed and breakfast is in a tranquil and historic location among the Georgia Mountains by the Blue Ridge Mountain foothills. For more than a century, this bed and breakfast has been providing a getaway in one of 16 exquisite guest rooms. Every room has a private bath and combines period antiques and local furniture with modern amenities and luxury linens. King or queen rooms feature custom-milled bath products, robes, gourmet coffeemakers, wireless Internet, private entrances, spa sound machines, and covered porches with rocking chairs. The Three-Room Suites and Penthouse Suites add even more amenities like gas fireplaces and mini-fridges. Glen-Ella Springs is on17 acres surrounded by the Chattahoochee National Forest and its own perennial herb and flower garden. There is also a fine-dining restaurant on-site that serves the public as well as inn guests and it is one of the best ranked in the area. The complimentary breakfast has hot entrees, seasonal fruit, fresh bread, assorted tea, freshly ground gourmet coffee, and juice. »Blue Heron Inn Bed and Breakfast: The Blue Heron Inn is perfect for couples who want to relax and enjoy the natural beauty of Georgia. The five rooms each have their own unique theme and have amenities like flat screen TVs, king beds, ceiling fans, individualized air conditioning and heating, hair dryers, toiletries, and private bathrooms featuring walk-in showers. Some also have decks with tables and chairs, French doors and Jacuzzi tubs. The inn is surrounded by winding tidal creeks and an expansive marsh, offering great views from every room. The area is perfect for bird-watching or other nature observing and the inn is just minutes from prime viewing locations. Guests can borrow kayaks or bicycles to explore the area or just sit on the dock and watch the beautiful nature. The daily full breakfast varies but includes fresh herbs and vegetables from the garden. Some favorite dishes include ginger bread Belgian waffles, shrimp or fresh vegetable omelets, eggs McIntosh, and lime French toast. With advance notice, the inn can accommodate special diets. »Open Gates Bed and Breakfast: Located in the Golden Isles, the Open Gates Bed and Breakfast sits in a charming 1876 building. Each of the five rooms is unique with features such as a full private or shared bath, four-poster bed, dressing area, sitting area, twin day beds, queen or king beds, winged-back chairs, private entrances and/or sitting porches. The cypress library is spacious and perfect for an evening of relaxing with a book, and can be rented out for special events. Enjoy the nice weather in the spacious backyard or cool off in the pool. The pool offers plenty of shade since it is surrounded by magnolia, live oaks and palm trees. On cooler nights, you can enjoy the fire pit or just relax on the patio. Breakfast is prepared by Chef Zach, who has many years of experience cooking around the world. »Village Inn and Pub: The Village Inn and Pub is located among live oak trees and conveniently situated between the historic oceanfront village and the parks. This property is a restored 1930 beach cottage with modern amenities and environmental touches. Each of the 28 rooms has its own unique floor plan and is named after a historic figure that impacted St. Simons Island. They all feature custom-built armoires with 27-inch TVs, desks, high-speed wireless Internet, ironing boards and irons, hair dryers and robes. Rooms have a queen, a king, or two double beds and most also have balconies with surrounding views. Guests are welcome to sit in one of the common areas or enjoy an evening in the bar. The bar opens at 5:00 every evening and features happy hour daily and trivia or live music on certain days of the week. When you enter the Beach Cottage, you will notice the antique English Pub of solid mahogany plus the original stone fireplace. The pub’s sun porch is where you will find breakfast in the morning. »The James Madison Inn: Guests at the James Madison Inn enjoy excellent southern hospitality in a convenient location which lends to exploring the Madison Historic District. The king-sized beds are covered in down feather pillows, duvets and fine Egyptian cotton sheets. Rooms also feature fireplaces, flat-screen TVs, oversized rain showers with stools, high-speed internet, free domestic long distance phone calls, clock radios that have MP3 and CD players, hair dryers, in-room safes and individual climate control. There are 17 rooms and two suites to choose from, each with a collection of books by local authors. The outdoor porch has a ceiling fan and plenty of furniture and most rooms feature direct access to it. Guests can also enjoy concierge services, the media room and the exercise room. The complimentary continental breakfast is served as a buffet in the Oak Room, which is inspired by a European pub. You will find freshly ground coffee, sausages, bacon, toasted bread, fresh waffles, fresh fruit, yogurt, pastries, quiches and juice. The Spa is right next to the inn and part of it, meaning you can opt for a spa package to save money on your stay. »Park Avenue Manor: This 1889 Victorian home is located in the Historic District of Savannah, giving guests easy access to local attractions while enjoying Victorian charm. Each of the four rooms are located upstairs and have a unique design with a four-poster queen bed. They all have period engravings along with local art, armoires, private baths, a desk with chair, sitting areas, fireplace with blue-flame heater, ceiling fan, alarm clock, hair dryer, air conditioning and small TV. The entire inn has wireless Internet and guests can borrow the iron with ironing board. Guests have access to complimentary soda and bottled water and hot chocolate, tea and coffee are available all day. There is also a guest fridge, guest towels for beach trips, and an available portable DVD player. Guests can opt for one of the special occasion packages with chocolate covered strawberries, wine or champagne, and roses or other items. The famous Forsyth Park is just across the street from the inn. The Planters Inn: The Planters Inn is a romantic boutique hotel with elegant rooms, a historic location, and extravagant amenities. Options like the Balcony Parkview Room or Deluxe Fireplace Room are perfect for a weekend of romance or relaxation. Every guest room receives turndown service nightly and a daily newspaper. Other room amenities include terry bathrobes, Gilchrest & Soames bath amenities, wireless Internet, satellite and digital cable TV, hair dryers, clock radios, irons with ironing boards, in-room safe with room for a laptop, and coffee makers. You can also get a rollaway bed or refrigerator for your room. 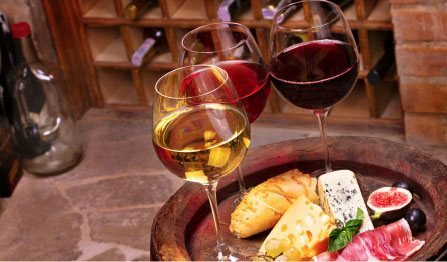 The hotel also offers a complimentary wine and cheese social on Monday through Saturday, room service from the Olde Pink House Restaurant, dry cleaning service, on-site catering, and more. An expanded continental breakfast is included and delivered right to your guest room. 17 Hundred 90 Inn & Restaurant is one of the oldest inns in the city and is named after the year that it was built. The building has been an inn for more than a century and is just a few blocks from many famous Savannah attractions. There are 14 rooms in the inn and each of them has a private bath and either a queen or king bed. The rooms also have antiques and the collection is always growing. The inn has seen some stories of haunting, making it a perfect location for those who are curious about ghosts but don’t want anything too intimidating or scary. If you know where to look in the building you will see original wood shingles. The on-site restaurant sits up to 100 people and is known for its professional service, elegant setting and delicious food for brunch, lunch, dinner and dessert. The restaurant has been in operation for over a century and has built up quite a reputation. The inn and restaurant also has a lounge perfect for relaxation and a few drinks. This family-owned and operated inn is surrounded by nature but still close enough to Savannah to offer easy access. The property includes two separate types of accommodations, the Palmyra Barn B&B Inn and Palmyra Cottage. The nine guest rooms in the B&B section are restored living quarters from the Palmyra Plantation and have private bathrooms and climate control. You also get an in-room TV with DVD player, wireless Internet and daily maid service. The Cottage includes similar features plus a full kitchen, full bath, a living room, a dining room and two bedrooms. It doesn’t receive maid service or get meals. The inn sits on 6,000 acres of private land, including fields, marshes and forests. The center of it is the 30-acre estate featuring oak groves, marsh views, historic gardens and sweeping lawns, and you can spot the Melon Bluff Nature and Heritage Reserve in the distance, with its miles of trails. There are trails on the property to explore as well in addition to indoor and outdoor games. 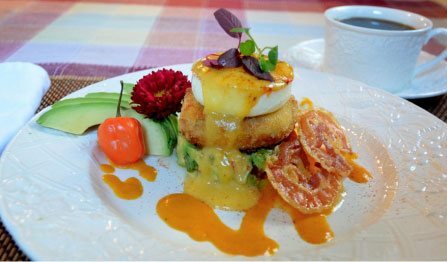 Guests of the B& B inn receive a full gourmet breakfast in the morning and hors d’oeuvres in the afternoon. There is also an available prix fixe dinner. Horse Creek Stable Bed & Breakfast is the perfect local bed and breakfast for those interested in agritourism as it is also a sanctuary for rescue animals. The detached one-room suite is private and has a king pillow-top bed plus a queen sleeper sofa. There is also wireless Internet, a gas fireplace, cable TV, a full kitchenette and views of the private horses. Since there is only one guest room, it is a truly private experience, although you are welcome to interact with the innkeepers as much as you like. The property has 36 secluded acres for guests to explore and it is perfect for individuals or couples. Guests are welcome to walk along the numerous nature trails that wrap through the private woods. In the morning, the innkeepers deliver a home-cooked breakfast right to your room. If you are in the area, you can also stop by to visit the rescue animals with advanced notice. The Kehoe House is designed to give guests a truly luxurious experience in an 1892 Renaissance Revival mansion which has been restored and is listed on the National Register of Historic Places. The 13 guest rooms are decorated with antiques and elegant furnishings. All rooms have complimentary wireless Internet, charging stations for electronics, turndown service, two robes, a flat-screen TV, private-label toiletries, an in-room safe that fits a laptop, and an in-room coffeemaker as well as bottled water. Two rooms also have private balconies and are great for romantic getaways. Guests can also opt for one of the numerous romantic packages, including those for proposals, honeymoons, and anniversaries or just add a romantic extra like chocolate-covered strawberries. The day begins with a gourmet breakfast; the afternoon features a hors d’oeuvres and wine reception with piano music on Fridays; and there is a coffee service and homemade biscotti following dinner. Fresh cookies are delivered as part of the turn down service. The breakfast is made-to-order and features an extensive menu. The Armstrong Inns are actually a collection of four bed and breakfasts around historic downtown, each of which is designed to provide relaxation. 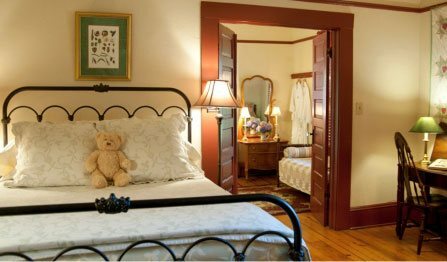 The Carriage House is ideal for a romantic getaway with two fireplaces, a kitchen that is fully stocked, and a plush bed. The Garden Suite has impressive privacy, a large fireplace, a garden and a plush bed. The Chatham Suite is also perfect for romance while the Jenkins House and Tatnall House each have two bedrooms. Other amenities include daily housekeeping, in-room robes and wireless Internet. Some accommodations offer a Victorian bathroom, multiple TVs with VCRs and DVD players, a CD player, telephones, private terraces or courtyards, walk-in closets, tubs and laundry areas. There is free parking and full concierge services. Guests receive an in-room gourmet breakfast each morning and will find a bottle of wine in their suite on arrival. The rates also include snacks, cream sherry and desserts. As the name implies, the 1842 Inn is an antebellum-style mansion built in 1842. Extensive updates were made in the early 1900s and the Cottage was added in 1983. Today, you will find 19 guest rooms along with service facilities and hospitality parlors. Every guestroom has fine linens, a private bath, a telephone with data port, plush bathrobes and towels, cable TVs, wireless Internet and fresh flowers. The property of the 1842 Inn covers nearly two acres, providing plenty of grounds to explore. Guests can also sit on the porch or relax in the courtyard or library. There are a total of four parlors, one of which has a grand piano. The evening hospitality hour features complimentary hors d’oeuvres and there is a cash bar. You will find homemade cookies in the parlor and guests receive a complimentary breakfast. The Savannah Bed and Breakfast Inn is conveniently located in Chatham Square right in the historic district and just a block from Forsyth Park. The rooms are all air conditioned and filled with antiques, books and oriental carpets. There are 10Premium Rooms, 14 traditional rooms, and 7Value Rooms. Every type of room has a private bathroom, wireless Internet, cable TV, air conditioning, irons, and telephones. Some rooms may also have features like four-poster beds, decorative fireplaces, sitting areas, larger bathrooms, and private balconies with rocking chairs. All guests have access to wireless Internet and a guest computer and there is free parking. The property has a courtyard for relaxation, where you may spot one of the three cats. You can enjoy afternoon tea or milk and cookies at bedtime. Breakfast is served in the parlor or patio every day featuring a Healthy Living or Chef Specialty breakfast. The first option has fruit, yogurt and homemade granola while the special rotates but can include things like a southern country breakfast, eggs to order such as eggs benedict, stuffed French toast, pancakes and local sausage. »Roussell’s Garden: This Queen Anne-style building dates back to 1888 and today serves as a bed and breakfast. Guests can stay in one of the three guest rooms on the second floor or the guest room on the first floor. Each room is slightly different, but you will find features like over-sized mattresses, bay windows, decorative fireplaces, Internet access, flat screen TVs, chandeliers, 12-foot ceilings, claw-foot tubs, make-up mirrors, double showerheads and/or private entrances. Go back in time by touring the servant’s quarters or just sit on the side porch to people watch and enjoy a nice breeze. You can spend hours sitting in the garden by the flowers, relaxing under the trees, or looking at the fountains. The curved wooden banister catches the eye as you go up or down the stairs. Every room includes a full complimentary breakfast for guests to start their day. Saint Simons Island is the biggest one of Georgia’s “Golden Isles” and has been a vacation destination for centuries. This inn has 34 rooms, each of which has its own unique decorations. Some rooms are pet-friendly and there is the choice of a Deluxe Room, one of the two Junior Suites, or the Penthouse. Suites add large flat-screen TVs and leather sofas while the Penthouse has two TVs, a terrace, a wine chiller, a full wet bar and the best views. All rooms have private bathrooms and Deluxe Rooms include amenities such as desks and chairs, mini-fridges, coffeemakers, armoires and comfortable chairs. Staying at this inn gives you a discount for sightseeing tours. Guests have access to complimentary infused water or coffee at any time of the day and continental breakfast each morning. The Social Goat is just a block from Grant Park, the oldest park within the city, and was built in the style of a Queen Anne Victorian in 1900. All rooms have wireless Internet and cable TVs; some also have premium channels. Guests can stay in the Hog Heaven House with its two bedrooms and separate living areas, The Carriage House with one bedroom and one bath, one of two rooms, or two suites in the main house. Room and suite amenities may include soaking tubs, sleigh beds, stained glass windows, sitting areas and shared or private baths. Today, the property has a miniature barnyard and 3/4 of an acre of land. You will find goats, chickens, turkeys, ducks and cats along with koi and goldfish in a water feature. Complimentary coffee and tea is available all day in the parlor. Breakfast is served in the dining room and typically includes farm-fresh eggs from the inn’s chickens, something sweet and a meat along with bread, fruit, juice, tea or coffee.